After claiming three Central Division titles in the past four seasons, the Barrie Colts will feature a younger look in 2016-17 as a group of new Colts learns to trot before they can run. Few Eastern Conference teams have been as consistent as the Barrie Colts over the past five seasons. 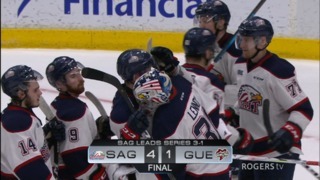 Dale Hawerchuk’s Colts have made it past the first round of the OHL Playoffs five years running, most recently falling to the Niagara IceDogs in the Eastern Conference Finals last spring. 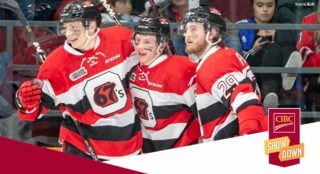 With veterans in reigning OHL scoring champ Kevin Labanc, Andrew Mangiapane, Justin Scott, Rasmus Andersson and goaltender Mackenzie Blackwood moving on, the Colts will begin forming their next stable of core contributors for the future. BREAKING // Colts Acquire Forward Nizhnikov from Mississauga Steelheads. With so many key players leaving the fold, the Colts will need their overage veteran forwards to play large roles and provide stability for a young group up front. The club recently released overage options in defencemen Greg DiTomaso and Josh Carrick. Of the four veterans that also includes Cordell James, Anthony Stefano and Keigan Goetz, Ford cited James as one who will play a leadership role with the young club. James had 19 goals, 25 assists and 44 points in 66 games last season. The Colts recently added Russian winger Kirill Nizhnikov in a deal with the Mississauga Steelheads last week. The seventh overall pick in the 2016 OHL Priority Selection joins defenceman Tyler Tucker as one of two first round picks on the roster. Nizhnikov registered 23 goals, 14 assists and 37 points over 27 games with the Toronto Jr. Canadiens Minor Midgets last season while McBain, the Colts’ first round (20th overall) pick, recorded 25 goals, 48 assists and 73 points over 45 games with the Don Mills Flyers Minor Midgets. McBain has recently signed with the OJHL’s Toronto Jr. Canadiens for the 2016-17 season. The Colts are hopeful that sophomore Giordano Finoro, who elevated his game during Barrie’s second round series with North Bay last spring, can emerge as a reliable centreman while youngsters in 2015 third round picks Aidan Brown and Jason Willms, former Toronto Marlboros winger Jaden Peca and sneaky scoring threat Kyle Heitzner can be long-term fixtures offensively. Barrie’s back end features a new look as well. 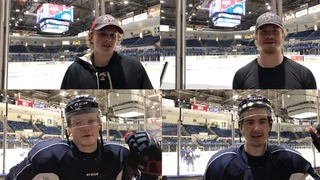 The graduation of Calgary Flames prospect Rasmus Andersson and four-year Colt Michael Webster opens up minutes for emerging sophomore Justin Murray, physical 19-year-old Cameron Lizotte and 17-year-old offseason acquisition Kyle Auger. 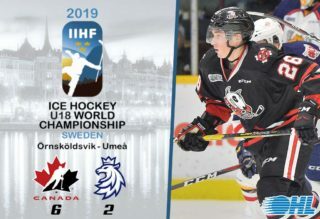 The Colts are particularly excited about 17-year-old draft eligible Swedish import Tom Hedberg, the club’s second round (104th) overall pick in the CHL Import Draft this past summer. Goaltenders David Ovsjannikov, Ruan Badenhorst and Christian Propp will jostle for time in the crease behind the young roster, with the returning Ovsjannikov as the likely candidate to see time out of the gate. Ford was straightforward in his outlook for the season, but was optimistic that the Colts could exceed the expectations of some in the wide open Eastern Conference. The Colts begin their season on the road, with trips to Kingston and Ottawa on opening weekend. 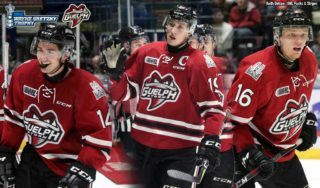 Fast Fact: The Colts scored 28 shorthanded goals in 2015-16, a new OHL single-season record. 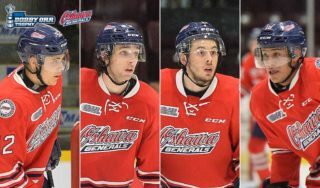 Who will be the Barrie Colts' biggest impact player in 2016-17?